The demand for temporary and freelance workers has seen a major boom over the past few years. Majority of industries whether big or small prefer hiring temporary workers. They can either be hired for few months or a specific project. An inclination towards this trend is due to the cost-effectiveness and an exposure to a large pool of talent it offers. It is true that such category of workers is not a permanent part of your organization but the tasks they carry out leaves a permanent mark on the reputation of your business. So, the process of hiring temporary workers always needs to be well-thought and planned just like that of hiring permanent staff. It is important to hire temporary workers equipped with specific skills to carry out a set of specific tasks. So, you need to build crystal clear job descriptions and roles for them. If you already have an existing job description, then it is the time to revise it as per the upcoming trends of 2019. You would need to re-define the skills and the kind of experience you require for completion of a particular job. For instance, a project that has to be completed within a short period of time demands a specialized workforce which is totally aware of executing it timely and efficiently. On the other hand, in a project having long time durations, you can easily impart on-the-job training. Hence, make sure you list out everything you are looking in a temporary worker to avoid any confusions in future. After attaining clarity on the kind of tasks you would want your temporary workers to fulfill, try to obtain references from your employees. Your existing staff members are already aware of the culture of your company and the business practices being carried on, so they understand the kind of skills and personality traits that would be fit for the space. Encouraging employees to recommend suitable candidates for the role by offering them a referral bonus is a great way of acquiring loyal and reliable workers. During your previous hiring processes, you must have received abundant applications for various roles- they can be your summer interns, seasonal workers or past employees. If you are not able to obtain the suitable references from your existing employees, then you can ask your HR team members to check their file and contact the previous applicants directly to ask if they are open to such an opportunity. If you are willing to hire the best temporary workforce in 2019, then you along with your recruitment team need to work on enhancing the process of interviewing. Majority of the industries resort to a two-step interview process which is likely to become more gruesome the next year. Generally, the first round involves a telephonic or video conferencing interview and the candidate that seems to be a good fit is then called for a face-to-face interview. This is to facilitate asking more targeted questions and screen the most potential candidate. 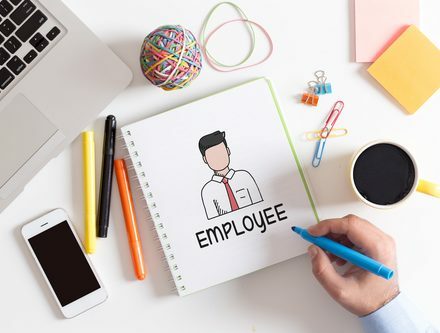 Hiring a reputable employment agency would surely give you the benefit of finding temporary workers matching the skills, abilities, and experience just as required. Well-established agencies having a solid reputation are able to build strong connections with other companies and workers and significantly help in screening and getting the right candidate on board.